Rob Knight from Robot Studio shares his views on what’s next for robots in the Best of Driven magazine. Order your free copy from maxon motor Australia today. Read Kelly Cartwrights story in the The maxon motor magazine Driven Best of 2013. 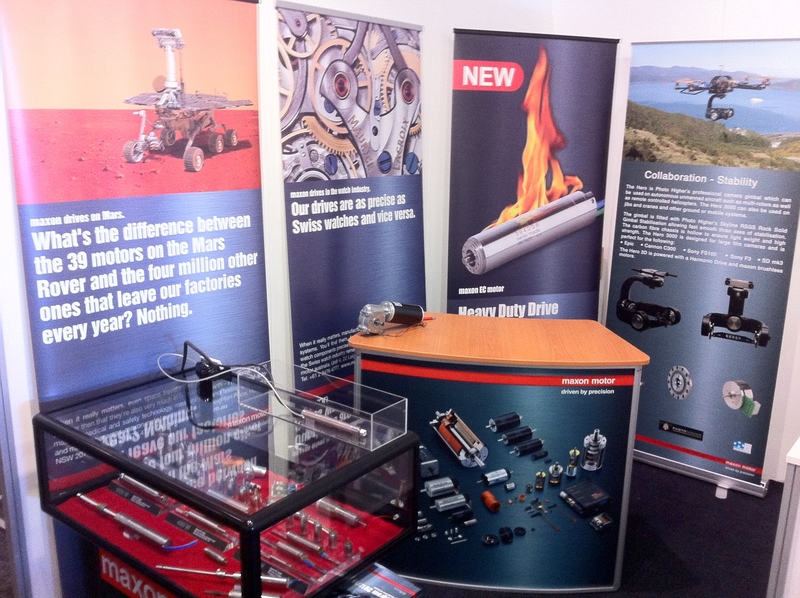 Hope everyone has visited Brett at our stand A13 at the Oil and Gas Expo in Perth. If not today is your last chance. One week until the Oil & Gas Exhibition, will we see you there? maxon precision motors, the leading supplier of high precision drives and systems, has announced that Biren Patel will lead its Electronics program. This is an evolving program and initiative designed to showcase maxon’s technical expertise and capabilities in the USA market for high precision motion control. Patel has been with maxon precision motors for 8 years as Applications Engineer servicing our customers with a high level of technical skills and the support needed to meet their requirements. In Patel’s new role as Motion Control Engineering Manager, he will focus on building a technically oriented electronics sales team to service the ever-growing needs of our customers. Two weeks until the Oil & Gas Exhibition in WA. Will we see you there?